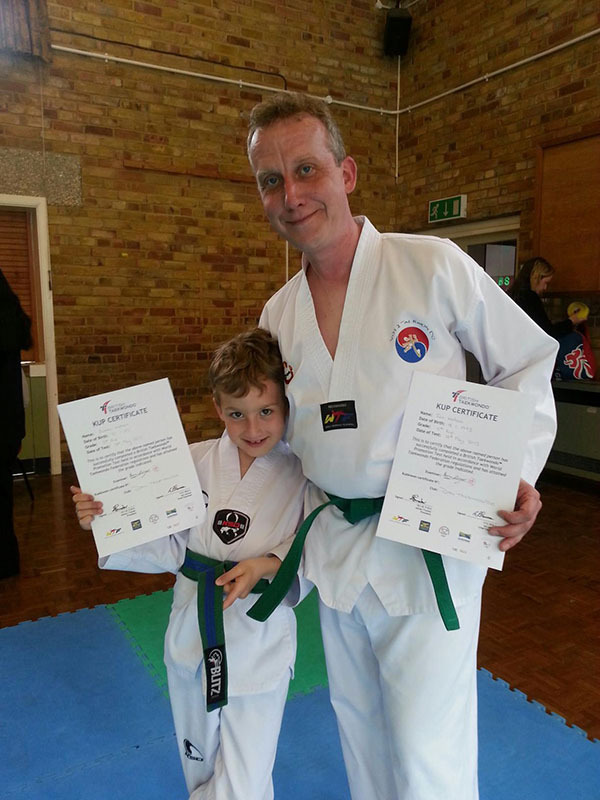 DAN Taekwondo School Brighton offers classes for beginners to advanced. Separate classes for children and adults. Get fit and have some fun with this exciting Olympic style Taekwondo. 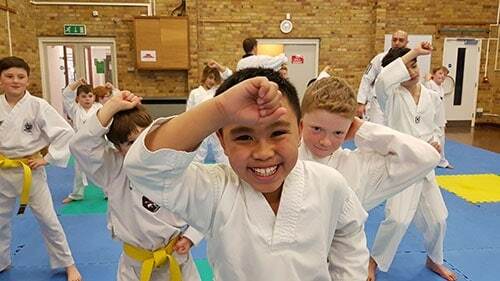 Whether you are looking to learn a Martial Art, an Olympic Sport, get fit and flexible, improve discipline or just have fun while you exercise; our classes are for you. Two free trial classes. No sign up required. Free on-site parking. Try something new in 2019. DAN Taekwondo WTF Martial Arts School is for all ages from ages 4 years to adults. Our programs are designed to help you with physical development, flexibility and strength. You will also improve your self-confidence, discipline, improve social skills, and learn self-defence in a safe and controlled environment. 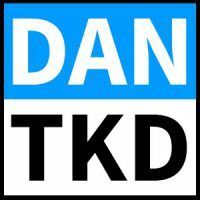 Every person that enters our Dojang starts as a beginner in DAN Taekwondo School. We help each student challenge themselves to find and break their mental and physical limitations in an encouraging environment. Whether you are a child at school, a student at University or a parent working an office job, we will help you develop your body and spirit. Kids are very impressionable at this age and need solid foundations guiding them into adulthood. We teach the basics of self-discipline and teamwork, and how it can carry through to a more positive life in and after primary and secondary school. Click on the image above to view our YouTube video. Or tap here if you are on a mobile or tablet to open the video in the YouTube app. Our grading syllabus is designed to help children improve their mental and physical capabilities, which in turn gives them a boost in their mental and physical well-being. And on top of all that -Taekwondo is super fun! 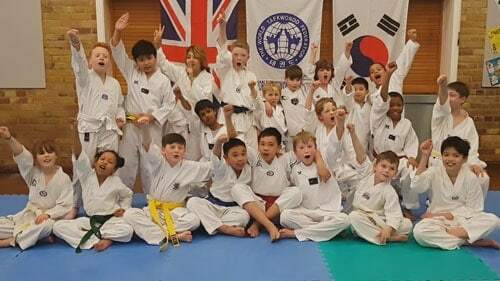 Click here to find out more about what goes on in our action-packed Kids Taekwondo Classes! Our instructors (two males and one female) have a combined career in Taekwondo of over 30+ years. This includes competing in Poomsae (Patterns) and Kyrugi (Sparring) at National and International levels, as well as attending several of the top seminars lead by Masters and Grand Masters across the UK.